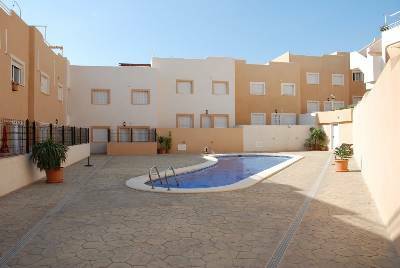 Beautiful self-catering 2 bedroom, air-conditioned apartment in La Azohia, Costa Calida. 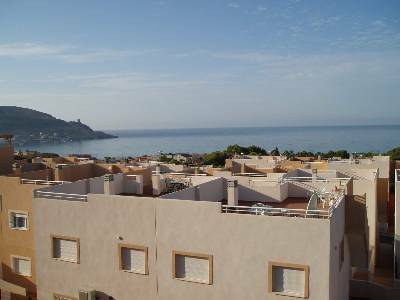 Breathtaking sea views, swimming pool, roof terrace, 500m from beach. Wi Fi Internet available. Brisa Del Mar, El Pinar de San Gines, La Azohia, Costa Calida. Smell the fragrance of the Mediterranean breeze, breath in the sea essence and find a natural balance between body, mind and soul in our new luxury apartment in La Azohia, Costa Calida. Magnificent views, serenity and relaxation await you for your next holiday. 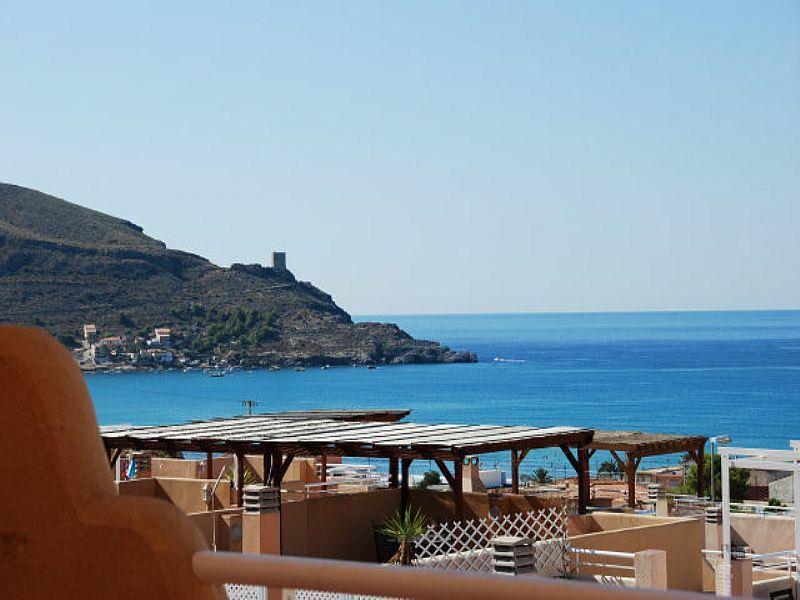 Built to a very high standard this new luxury two bedroom holiday apartment boasts breathtaking sea views and peaceful surroundings. 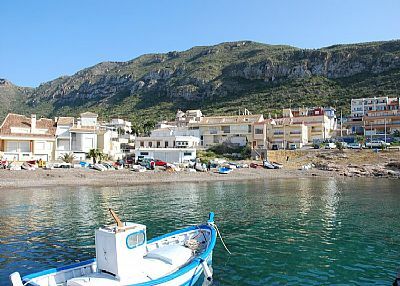 Situated 10 km east of Puerto de Mazarron, this little fishing village, La Azohia is a true "retreat" (Arabic translation) along the Costa Calida. 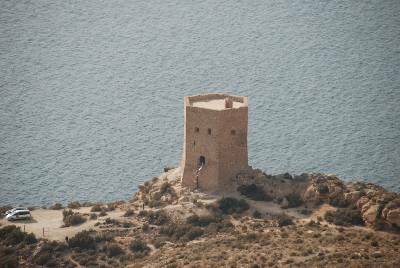 Take in the sunshine, stroll along the beaches, enjoy Spanish cusine in the local restaurants or take a walk in the foot hills of the tranquil surroundings. Either way this is the choice for a memorable, relaxing holiday for families, couples or individuals. 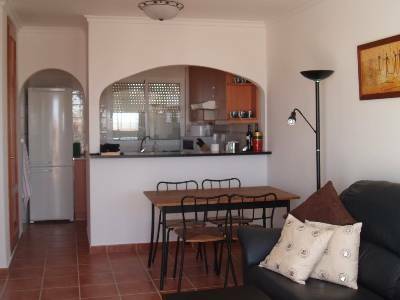 The apartment is some 500 metres from the beach, with its own swimming pool, local shopping is near by as well as restaurants, bars and other amenities including some stunning walks or bicycle rides in the surroundings. 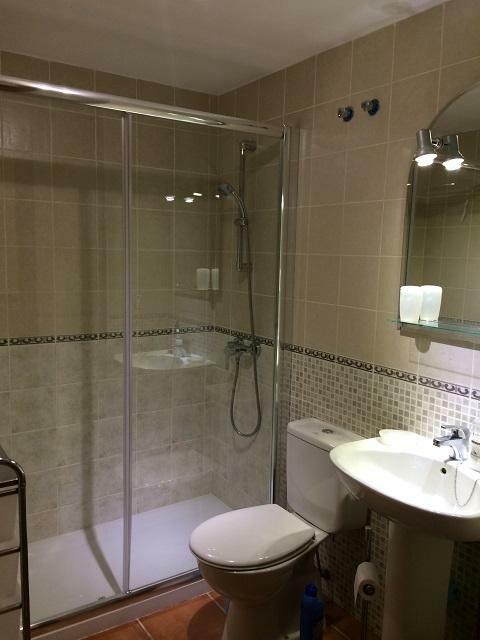 This first floor apartment consists of a living room, kitchen with breakfast bar, 2 bedrooms (one double and one twin) and bathroom. 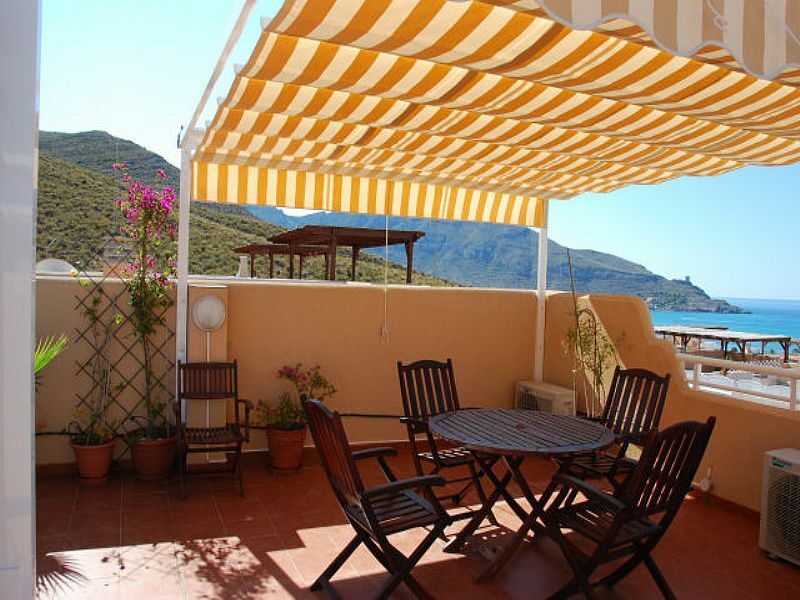 In addition the apartment comprises a balcony and (50m2) private roof terrace with magnificent views of the sea, including the tower of St. Elena (an old lookout tower to warn against pirates), La Azohia bay and surrounding mountains. The sunsets from the terrace are second to none. 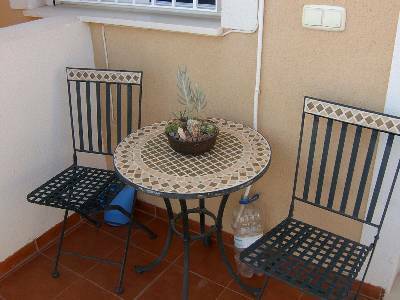 On the roof terrace there are - pergola, sun loungers, dining table & chairs, barbeque, shower and parasol. Furnished to the highest standard including air-conditioning, leather sofa, high quality beds with cotten linen / duvets (for winter) and fully fitted kitchen with all modern appliances. El Pinar is situated on the lower slopes of the mountain of a small pine forest, the development is built to a traditional "Moorish Andalucian" style fitting into the surroundings perfectly. 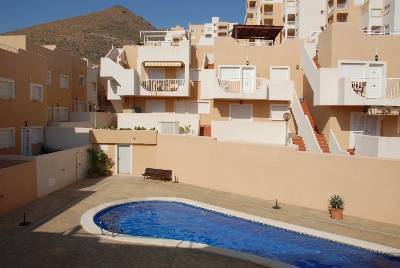 The swimming pool and gardens are behind the apartment in the centre of the development visible from the kitchen and master bedroom. 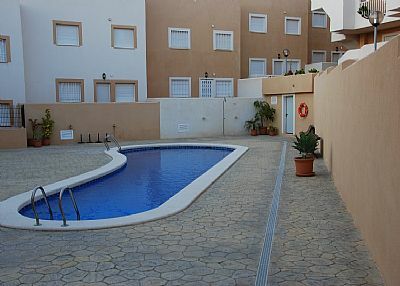 Access to the swimming pool and gardens are through the passage way next to the apartment. There is space for parking just in front of the apartment as well as an allocated parking space to the side of the flats. If you are coming with children we provide a free travel cot, high chair and some interesting books, games DVDs for their entertainment during your stay. 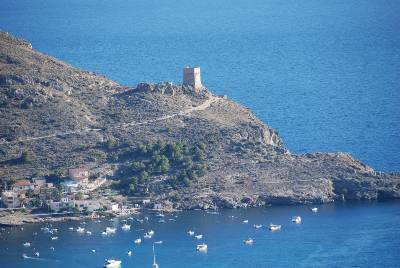 This area is still a fairly undiscovered part of Spain and La Azohia is a totally unspoilt tranquil Spanish fishing village where one can observe the tuna fishing in the bay every day. 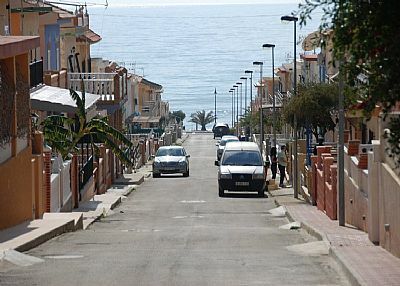 The Costa Calida and local climate around La Azohia puts claim to no less than 300 days of sunshine a year. Check for availability and book your stay on-line.Please note that pets are not welcome. 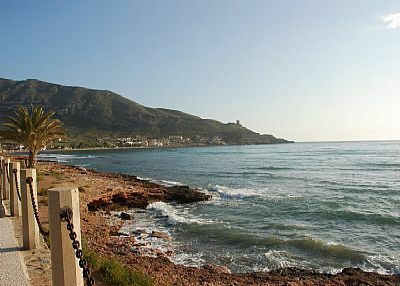 We enjoyed marvellous holidays in La Brisa del Mar. All was fine and we have had an excellent attention from the owner. The perfect option for a family holidays. 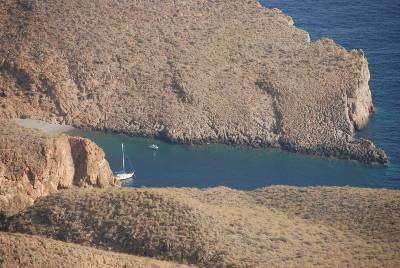 "We have had a wonderful time here and we have felt at home, but with a marvelous sea and starry nights view. We´ll be back. For sure!" WOW on every level! 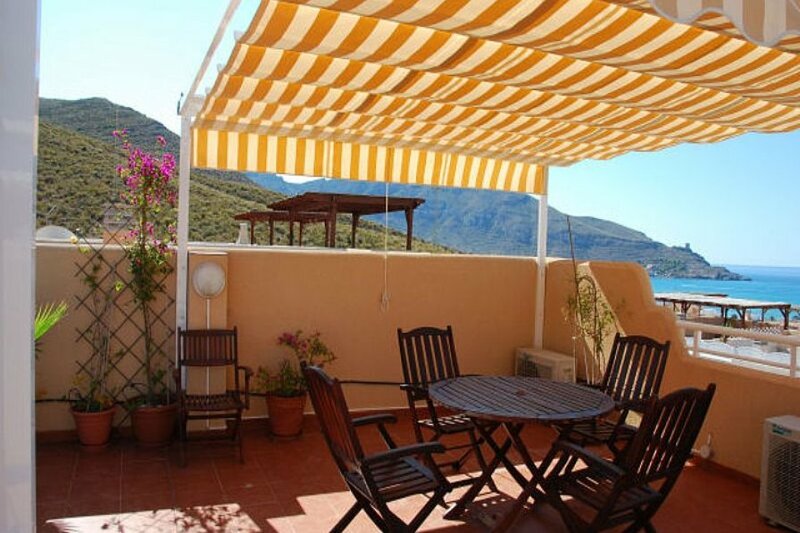 Stunning location, fantastic villa which was very well equiped, and friendly owners. Exploring the area was an incredible experience. We have come back feeling totally relaxed and revived. The only disappointment was that we only booked for one week! We could have stayed a month! Will definately be booking again! Highly recommended. 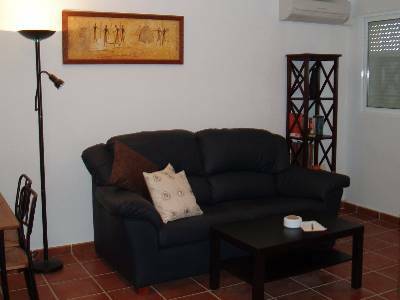 This is an excellent apartment, the comfort and standard of the poperty is outstanding, it is like a home from home. We have rented numerious apartments and villas in the Mazzaron area for over twenty years and none of them have come up to this standard. The quick response of the owner was amazing, we requested this apartment at 20 00hrs on a Sunday night and we arrived next day just after lunch, to a lovely clean and fresh apartment. There is some building work going on behind the apartment but this did not disturb us at all. The views from the roof terrace are very good and we often just chilled out in the evening up there with a nice glass of wine and some music, there is even a radio to take up with you. The surrounding area is very nice, the beachs are lovely, and are very good and also safe for young children, I would have no fears taking my grand children to them and there is some lovely coves to find where you can have nice walks and pinics. You have to go into the small town near by to shop, but that is only a ten minute drive on good roads, and there is lots to do there anyway so you would probably be going at some point anyway. There is a couple of small shops in the village where you can get essentials. 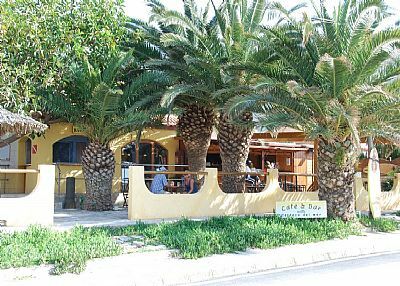 The small pubs/cafes/resturants are all very good. The owners of the pub in the complex is very friendly also and if you want a meal they will make one for you up until 21 30 hrs. The only recommendation I would make would be to have a gate at the top of the stairs to the roof terrace to prevent small children going down the stairs on their own. Fom experience I have found you just need to take your eyes of them for a second and they can be down the stairs. The owners of this house are very safety concious and I am surprised they have not done this,because of all the safety factors they have in the house. I will definetly rent this apartment again and have recommended it to my friend and family. 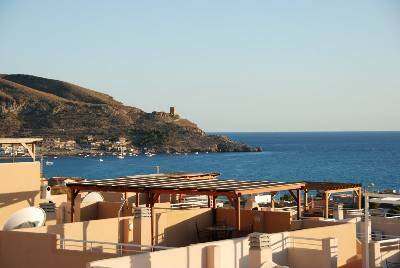 The property was well furnished the terrace gave spectacular views of the bay. 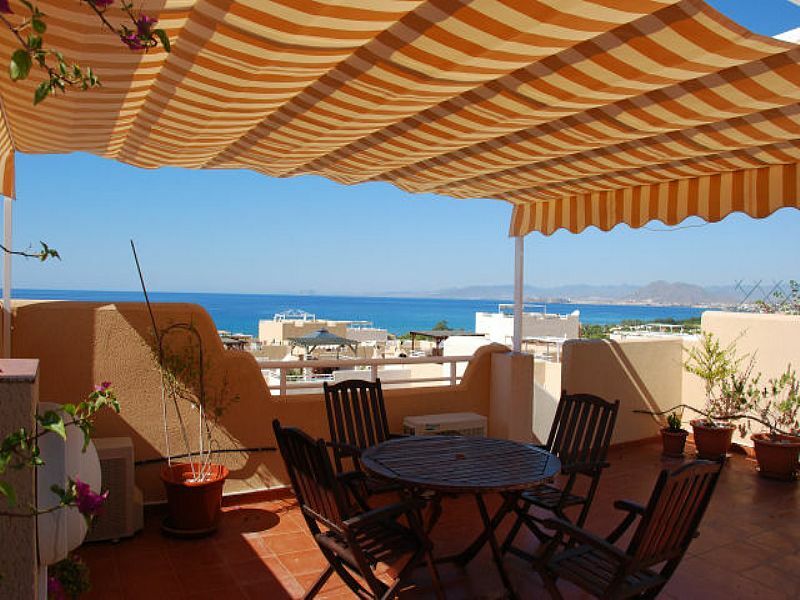 The location was excellent with easy access to the surrounding towns of Isla Plana and Puerto de Mazarron. La Azohia is a lovely town but the restaurants with one exception were closed in the evenings so we ate in most evenings using the barbecue on the terrace or the excellent cooking facilities. The owners agents were very helpful and avalable when needed. All in all an excellent holiday which we would recommend to others. We stayed some days at a hotel in Alicante before we went to La Azohia. After noisy and crowded city it was very nice to find a calm place with a fantastic view over the seaside. Brisa Del Mar seemed to be waiting for us. There were some cheese, jam, water and even a bottle of wine for us in the fridge. There were a lot of DVDs with films and music, modern books, games, local maps and tourist leaflets – we shouldn’t be bored! Everything was clean and comfortable. We are very obliged to the owner of the apartment, Mrs. Patricia Haggi, for her kind assistance under the booking and payments. A path leads down from the apartment to a beatiful beach with soft sand and pebbles less than 500 metres away ideal for families and small children, with shallow water sloping gently away into the sea. 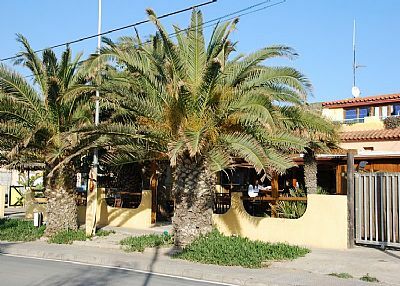 The "Pines Bar & Grill" is just 2 minutes walk away with local shops, restaurants as well as tapas bars within walking distance. 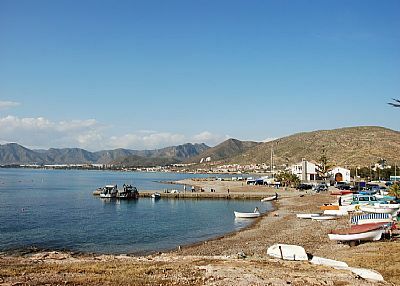 A short car ride away there are many more shops and restaurants in nearby Isla Plana and Puerto de Mazarron.